Acclaimed Irish folk duo Hudson Taylor discuss their creative process, the making of new EP Feel It Again, and the thrill of performing live in our new interview! 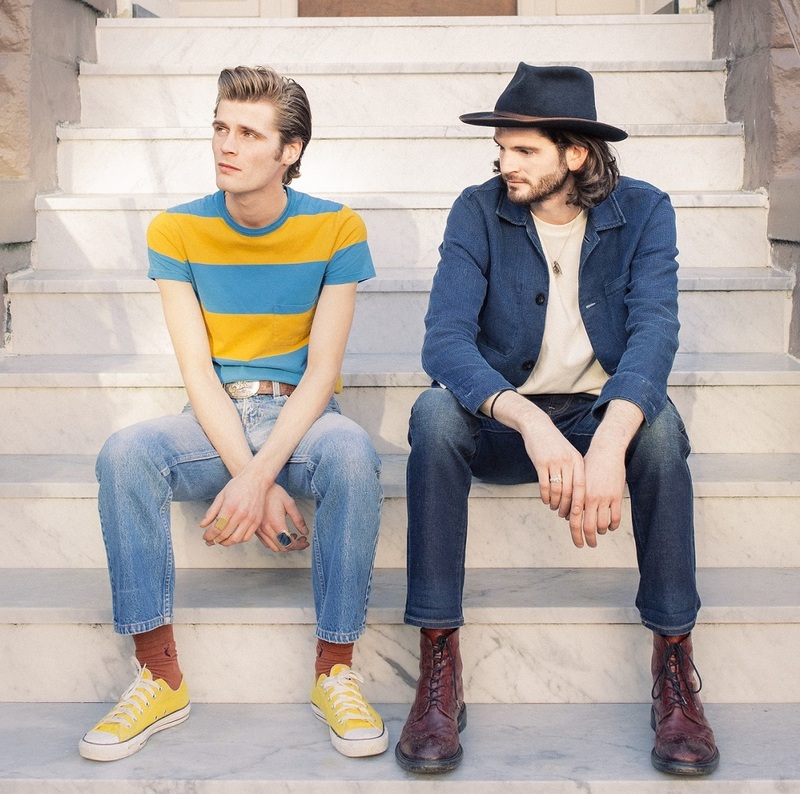 Brothers Harry and Alfie Hudson-Taylor, better known by their band name Hudson Taylor, are making their way up in the music world. The Bray brothers found their fame after a YouTube video of the pair busking on Dublin’s Grafton Street went viral. 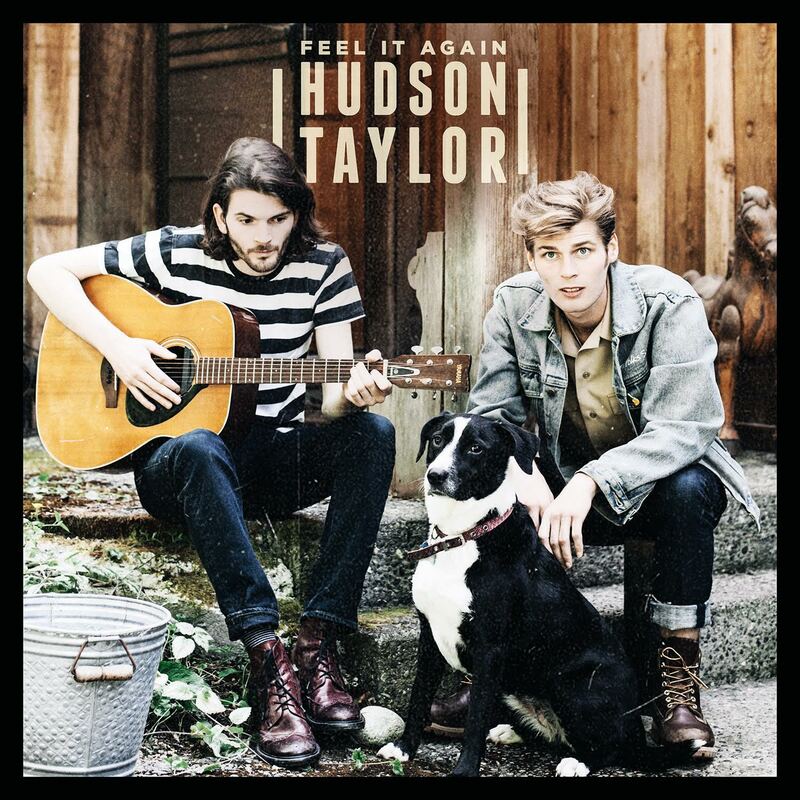 A debut album, months of touring and plenty of festival slots later, Hudson Taylor have returned with their new EP, Feel It Again. Feel It Again is an EP made to be played live. Each track possesses an energy far greater than anything a studio recording can capture. Hudson Taylor’s full potential can only be reached on stage, whether that stage is atop a ballard on Grafton Street, in a local pub, or at a festival of thousands. Their audience serve as a catalyst in their music: Participation, applause, and the shared experience of music bring to life a hidden quality within Hudson Taylor’s music. Earlier this week, just hours before their headline gig in Ireland’s Limerick City, Hudson Taylor caught up with Atwood Magazine. In this interview, the folk duo discuss their inspiration and the thrill of performing live, their creative process, and the making of their new EP. I listen to at least one Beatles song every day. Atwood Magazine: Do you prefer performing live, in studio or busking? Harry: I personally think playing live is my favourite thing, but busking is a form of playing live as well. I like busking cause you’re doing it somewhere you’ve never been before and you kind of gage people’s reactions of those who don’t know who you are. But then when you’re playing live at your own show, that’s a pretty amazing feeling too. People knowing your songs and singing them back to you, that’s amazing. It’s hard to say. Recording is great, but it’s only for a moment. There’s lots of waiting around, I find. You might record for three minutes, then you’re done your song. You might do it three more times, but then you’re waiting around for a while for a producer to put it together. I find it to be the most laborious of the process. Alfie: With live and getting gigs, I find the idea is to have as much fun as possible and then you feel like other people will be as well. And in studio, the same thing sort of applies – if you’re doing a vocal, you want to make sure you’re in the same place as you were when you were writing the track. Again, the same theory. If you’re enjoying yourself, hopefully people can relate to it more. I always like the idea of just one take in recording, really focusing on one and then you work from there. If you need to drop in, then you can. What's your favourite track to play live? Alfie: “Travellin’,” I think. It has been for a while anyway. It’s the first song we play, always the one we open up the set with. It’s really fun and just gets me in the mood. Harry: It changes for me, actually. It’s to do with the crowd. If they’re respectful while you’re doing a quiet song, that’s good. But if they’re respectful, but screaming the lyrics at you, that song, that particular day can be quite good. It changes. Who or what influenced the different sound of Feel It Again from your debut? Alfie: For songs like “Travellin,” I was listening to a lot of The Band, Rolling Stones, The Beatles. Going back to our first album; all the songs and records, we tried to take from – but it didn’t necessarily work with the songwriting, I think. It was all just ideas that we throw together. Harry is very good at engineering and recording songs. We would take in a broad range of sounds and say, ‘Oh, I like that one, or that one’ and take inspiration from all sorts of things. I would say, The Band in particular, that sort of sat-back, groove thing. What experiences have shaped the songwriting in this EP? Alfie: Our first album, some of the songs would have been written when I was 17 or 18, so I was very new to songwriting, the two of us. Then when we made the album, we got to tour and had the experience of playing to a crowd a lot more, with a lot of gigs and travel. Those experiences alone changed the way I view the world, the way I view us and songwriting. Plus, I’ve been listening to a lot of new music… and even in the recording, too! The way we recorded the first stuff, it didn’t quite capture the emotion, or the message. Harry: Maybe we over-thought it. I definitely think we over-thought it — at least with some of the recordings, anyway. Alfie: We also really got to experience the many sides of the music industry in that way. In a sense, we were told, like everyone is, that we were going to be the biggest band ever. Then things just kind of came to an end. But yeah, we spent a year, two years just listening to music and songs and that, I suppose is where the change might have happened. It’s been very natural. I write songs pretty much every day whenever I can. It just happens, along the way. It’s just what’s going on around me. How do you divide the creative process between you? Alfie: It’s whatever happens. All songs come up in different ways. Harry: Sometimes there are songs fully written by Alfie from start to finish and the only influence I have on it is I might have played some of the instruments on the recording. Other times we’ve written them from scratch together, or with other people; friends, artist. There’s no set in stone way as to how they come about. Alfie: We maybe had like 30-40 songs in mind for this next batch of music before our album came out, so it’s just about whittling it down and getting other people’s opinions like friends, colleagues. Harry: Trying some of them live helps too. What advice would you give to any young artists starting out? Alfie: My first bit of advice would be tunes. Just write song, no matter how bad they are. Write songs for yourself and tell stories. Nothing happens without songs. Just do that – practice loads. Love what you do. If you want to get into music properly, you really gotta love what you do. Harry: There’s a danger that some people might get into music for the seeking of fame, or something like that — which isn’t the best headspace to go into anything with. It’s definitely hard. No matter how successful you are, it’s still going to be difficult. Successful artists struggle too, so they really have to love it, I think. How does the Irish music community compare to those in other countries? Alfie: I think there’s a lovely community in Ireland in terms of music. It’s a smaller scene as well. It’s a little less competitive. We were living in the UK for five or six years in London. We moved there to figure out what the industry was, or is, and what people do; managers, agents. And to get gigs. Harry: The bands in the UK, are just that little bit tentative about it – it’s all a bit competitive. Alfie: Understandably, because it’s so much bigger. In Ireland I like it because it seems since artists like Hozier and Kodaline have paved the way, we notice that the lad who was down the road recording tunes in his attic now has a number one all over the world. That, I think, sets a lovely example. Alfie: I would love to collaborate with one of The Beatles, so Paul or Ringo. The Beatles are a huge influence and I listen to at least one Beatles song every day. Harry: I’d probably say Paul Simon. 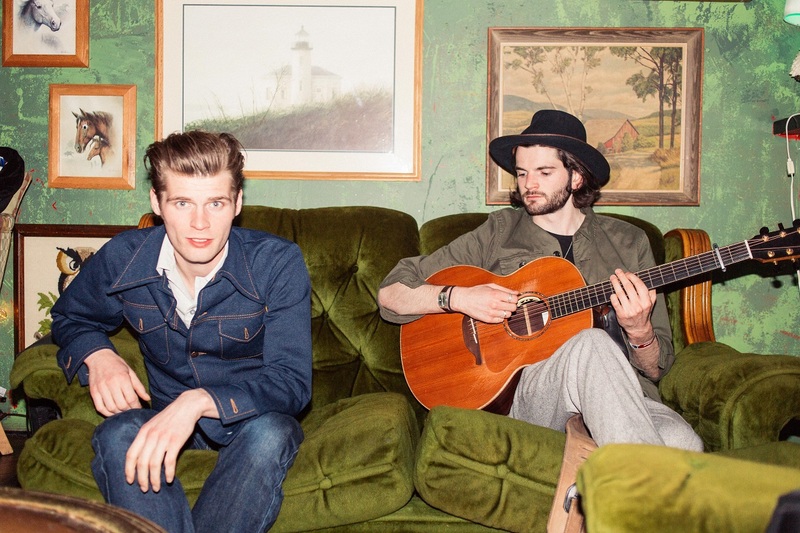 What’s next for Hudson Taylor? Alfie: We’ve just released this new EP, so we’ll see how that goes! Aside from that, we’re gonna do some festivals and some more touring at the end of the year. Hopefully we’ll have our album ready to go then.